Enjoy the conversation and thanks for listening! Luisa Mesa was born in Havana, Cuba and moved to the United States with her parents when she was a child. Although she has lived in Europe and South America, Miami is home. Mesa earned her BFA at FIU where she mainly concentrated in photography and painting. While at FIU, Luisa began experimenting with a very personal and intuitive style of repetitive drawing that paved the way for her current work. The initial drawings on paper and wood panel soon became layered and other elements such as digital images and found objects began to appear in her work; the pieces grew larger and more three-dimensional. Moreover, Mesa creates digital compositions from photographic images, in limited edition series. 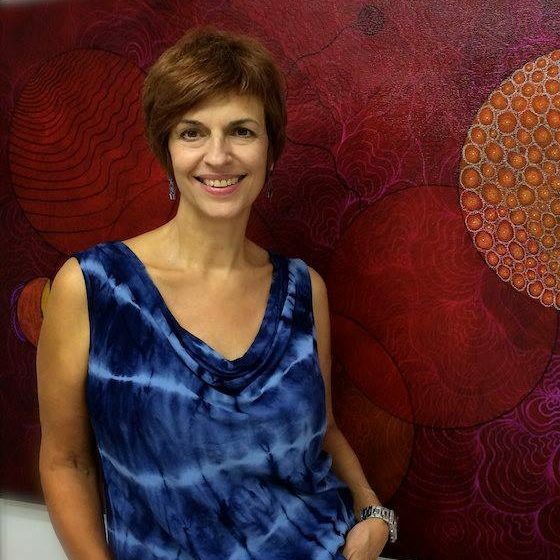 Mesa has exhibited her work in numerous venues and is included in several important collections in Dubai, New York, and cruising around the world in Royal Caribbean Cruise Line ships. She is currently being exhibited in the Wit Gallery in Lenox, Massachusetts.